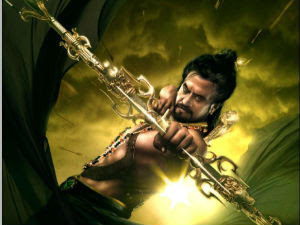 The shooting of superstar Rajinikanth's magnum opus Kochadaiyaan has been completed. Now, the film is busy in post-production works and it is likely to be released for Diwali. Reports say that the last phase of the shooting was completed last month. Presently, the post-production works are being held in different studios in different parts of the world. The makers of the film are wrapping up the works in London, Los Angeles and Hong Kong. It is also said that they want to release Kochadaiyaanfor Diwali by having a large worldwide release. Apart from Tamil, Telugu, English, Hindi and Japanese, the makers of the film are planning to release in French and Spanish. Kochadaiyaan starring Rajinikanth and Deepika Padukone is directed by Soundarya Rajinikanth. The 3D film has been shot using Motion Capture Technology. Rajini plays an eighth century Pandya king who is known for his legendary valour.